Based on your colour preference, the lighting and the mood you want to create you can choose a predominant colour. Based on your colour preference, the lighting and the mood you want to create you can choose a predominant colour. You can then create a colour scheme that involves other tones and shades to decorate other elements of the room, such as trim and feature walls. Toning – use different tones of the same colour to create the finished effect. 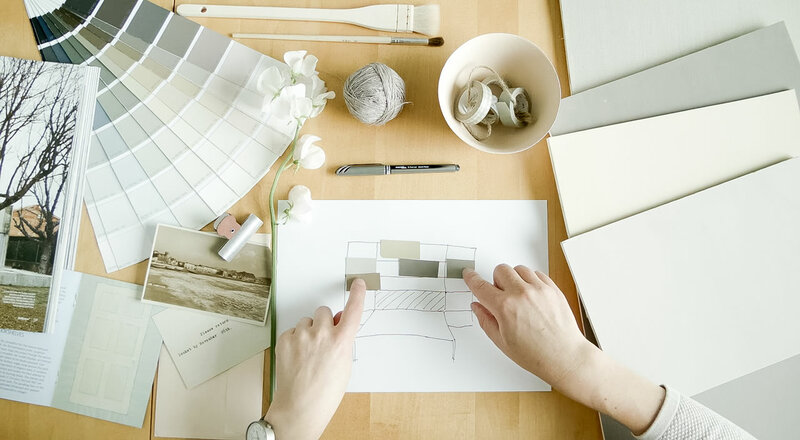 Dulux have made toning the easiest colour scheme to create because the colour swatches each feature 6 tones of one colour (except for Fresh Neutrals and Warm Neutrals). Harmonising – this involves two or more colours that lie next to each on the colour wheel e.g. blue and violet. Like all good relationships that work, they are close to each other but are subtly different. Harmonising colours work well in soft furnishing and accessories too. An expert colour tip from Dulux is to use colours of the same depth of tone or try one dark and one light. Contrasting – this uses colours that are complete opposites on the colour wheel e.g. red and green. A good decorating idea is to introduce contrasting colours in soft furnishings and accessories. By using this process, you can confidently choose the right colours and tones to create the mood you’d like. Ultimately though, the most important thing is to trust your instincts – if you love the colour, it’s right!